Probably, while going through this article, you may have certain doubts about various eco friendly vehicles which are now available in the market. There are many cars which are now hybrid and Toyota Prius is one of the popular brands which have been liked by the people. Another car which is being introduced shortly in the market is totally an electric car, which is likely to gain more popularity with the people who love cars. There may not be any specific difference; one may get confused about the performance of each one. The next few paragraphs will deal with the guidance which will help you to choose a better eco friendly vehicle. Hybrid car, as the name suggests the hybrid cars are those which can run on more than one technology, the conventional hybrid car has both combustion engine and an electric motor. This car can run both on gasoline and electricity which it gets from the recharged batteries which run the electric motor. The batteries are recharged during the periods of braking through specially designed regenerative brakes. When the vehicle is under full load, it can run on fuel powered engine and during minimal demand it can be switched to the electric mode. Pure electric cars are totally different from hybrid, as these vehicles run only on electricity. This car is fitted with larger electric motor and more batteries to provide power to run the vehicle. The main benefit is that there is no carbon emission which is great contributions to the environment. Another benefit is that the running cost is very low as compared to gasoline. One does not have to run to the gasoline pumps for refueling as you can simply recharge it from the convenience of your home. Before you go for such vehicles, you must carefully weigh pros and cons and decide accordingly. The biggest advantage is noise as there is no noise from electricity powered vehicle; these vehicles are totally silent which a great way of curbing noise pollution. Some of the manufacturers have a mechanism of creating fake noise in these cars; this is done to give you some indication whether the car is running or not. This can be totally your personal preference. If the prices are compared, electric run vehicles are more costly than hybrid cars, however in the long run electric cars are economical to run as compared to hybrid cars. Electric cars can be recharged at home but since the technology is still not that developed it takes hours together to fully recharge the batteries. The main reasons is the design of sockets fitted in our homes, the hybrid cars simply can be refueled at any gasoline stations that too in minutes. In terms of mileage electric cars cannot compete with the combustion engine, which are more powerful and needs improvement. Electric motors perform best in low RPM ranges. 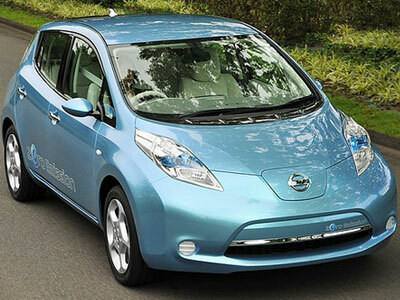 However the electric motor fitted in the hybrid car does not match the performance of a pure electric car.